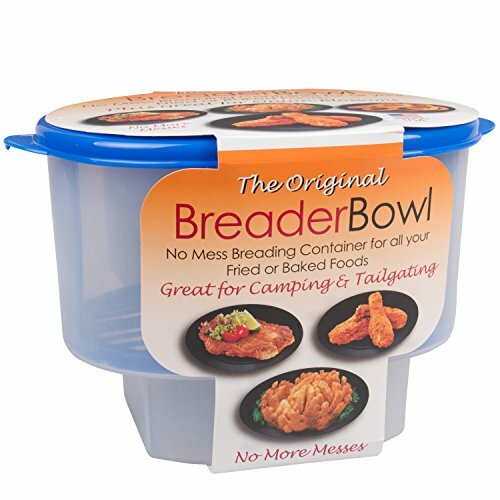 Unique Gift Ideas For Home Chefs – And foodies… For years and years, my great-grandmother, grandmother and my Maman cooked family meals with a bare minimum of cookware and utensils. Country kitchens in post-war France (both wars) were not exactly equipped with state of the art anything. Yet, they all prepared fabulous meals on a simple wood stove using a single skillet, a hand-me-down fait-tout and prized wooden kitchen utensils. My great-grandmother Adèle had a single cookbook – La Bonne Cuisine de Mme Saint-Ange – which was more like the kitchen companion of all French cuisinières in those days. She gave it to my mother as a wedding gift and I still use it. The secret sauce is to improve French cooking skills along with an array of other skills used in any and all cuisines. Spending a week totally immersed in the language, the culture and the daily routine opens up so many windows into the regional and national cuisine of a country. While growing up, I saw a few new “gadgets” make it into my grandmothers and great-grandmother’s kitchens. Very few. But in due time, my grandmother gifted herself a whole new kitchen! As avant-garde as she was, Grandmère Renée would approve of my selection of unique gift ideas for home chefs. Learning by example is still the best way to learn. Think of it as my guide to resources and gifts for all home chefs. Some gifts are more practical than others but all make superb gifts for any cook. Just call it De’s Wish List. During our extended stays in various countries, there were times when I did not know what I was eating – mainly because there was no menu. On many occasions we thought we were eating “this” when in fact we were eating mystery meat. I am relieved that it remained a mystery. Language was only a partial barrier. Seriously though. Languages are important even for cooks and home chefs. It’s not so much the food vocabulary but also the culinary terms used in the cooking process and special techniques that apply particularly to French cuisine. You’ll come across these culinary terms and special techniques in recipes from various international cuisines as well. On this page, I will focus on unique gifts related to France, French food and culinary adventures. I love everything about the premise of this service. Total language immersion. Definitely the way we learned our languages. In this case, learn French while in France! You do not need to know how to speak fluent French just to prepare a recipe. But there has always been a fascination and pride in knowing how to read and – more specifically – understand the menu in a French restaurant. Avoid all surprises. Psst… Escargots = snails. I’ll eat those for you! After all, it always helps to know what you are eating right? Ask Mom what happens when you overlook and ignore a single word in a foreign language. She assumed – incorrectly – that it could not be that important. But it makes a world of difference in the recipe results. Mom’s missing word in English? Apples. Here is the story about how a single word can unravel into a mini kitchen désastre! 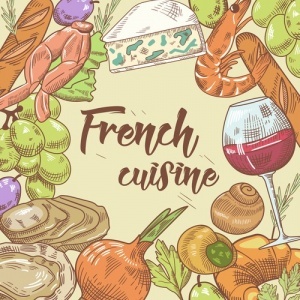 Learn all about French food and wine related vocabulary as well as how to translate or cook using French language recipes. #2 – Treat Yourself To Cooking Classes – in France! 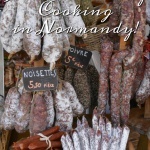 How about a culinary adventure in Normandy? 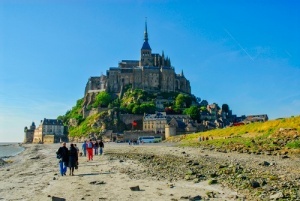 This coastal region of France holds a special place in my heart. So does Brittany. But the Normandy beaches were the first thing my Dad saw when he jumped off his Higgins boat of D-Day. Omaha Beach specifically. My parents and I lived there for a few years and if we can’t be in Picardie then we head to Normandy. Dad never could bring himself to going back to those beaches. Not even years later. My daughter and her family made a special trip to Normandy a couple years ago. One of the items on her bucket list was to stand where her grandpa “arrived”. The drive from Calais to Bayeux was memorable for the intense green landscape, the hedgerows, the distinctive cows grazing in the fields. The various destinations on their to-do list were just as impressive – including cheering on the riders in a leg of the Tour De France cycling race. But the food? They all remember the food. My grandsons are still talking about the meals en Normandie – from the country style petit déjeuner at their B&B to the meals in bistros and local restaurants. Their tasty and exciting culinary adventure deserves a well illustrated page to itself but I know I can tempt all the taste buds with a beautiful display of “saucissons secs” – the ultimate selection for any charcuterie tray. Sliced paper thin! #3 – Treat Yourself To Cooking Classes With A Master Chef! How would you like to have the world’s best chefs right there in the kitchen with you? Thomas Keller has a few cooking techniques up his sleeves. 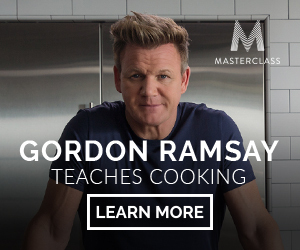 Wolfgang Puck can show me a few kitchen tricks anytime and we all know that the mighty Gordon Ramsey can fix anything in any kitchen and cook too! A seven day free trial period makes this the perfect gift for the certified foodie in your family. Top chefs and online classes go together like champagne and a plate full of biscuits rose. Oh… and did I mention that Alice Waters Teaches Home Cooking ? Which Chef Will You Invite Into Your Kitchen? Gordon Ramsay , Thomas Keller, or Wolfgang Puck? Don’t avoid the recipes that call for a special sauce. Eight hours of video with course materials and recipes teach you how to make all the Mother Sauces. My recipe for Poulet Sauce Bercy is the perfect example. It calls for a velouté but even my grandsons’ ultimate comfort food – mac and cheese – is cooked with a cheese sauce made using a light roux (Psst… use butter and aged cheddar). with these very affordable Online Cooking Classes! Who said you can’t order the proper ingredients for a recipe? You can. Read my article about how and where to source some of the best French food products. Amazon makes it très easy but there are many sources right here in the United States for authentic cooking ingredients, meats and cheeses. 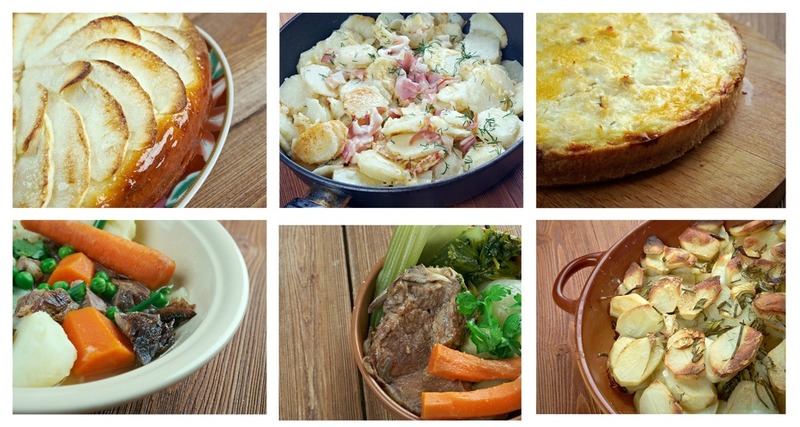 And so it comes as no surprise that one such subscription exists for fans of French food. It is called Bon Appétit®. Why not gift your favorite foodie a “Taste of France” membership. Each month, subscribers receive a selection of the best French gourmet foods. The Paris Apéritif box is super popular! The Best In Gourmet French Treats! Single Boxes, Subscriptions or favorites straight from the pantry. I’ve collected quite a few specialty pans over the years but both at home here in the United States and in France, all my home chefs swear by Le Creuset®. It makes a stupendous gift for the home chef! Enameled cast iron to last a lifetime but they sure can make it difficult to select a color these days. My daughter loves the new lavender Provence® color. I prefer the classic colors but I may have to add a few pops of the new vibrant colors. What do you think of the Marseilles blue color seen below? In France, we have a pantry full of the classic and vintage Flame Orange. The Ultimate Cookware Gift For Any Home Chef! Available in a rainbow of classic and modern colors to match your kitchen décor. 3 #2 – Treat Yourself To Cooking Classes – in France! 4 #3 – Treat Yourself To Cooking Classes With A Master Chef!